Despite some of the myths out there, spray foam roofing continues to be a top choice for reliable, lasting roof protection. In fact, SPF roofing contractors and building owners alike can each benefit from this increasingly popular option. In order to apply spray foam roofing, contractors need either new or used spray foam roofing equipment. A “typical” line of spray foam equipment includes spray foam rigs, reactors and generators, hoses, spray foam guns, as well as other spray foam application equipment. If you are thinking about purchasing used spray foam roofing equipment for your business, it’s important to understand all of your options. One of the most essential choices you need to make is deciding whether or not to buy new or used spray foam equipment. 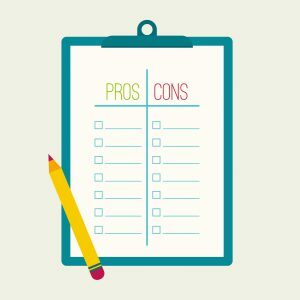 There are pluses and minuses to each option, so it’s best to carefully consider all of them in order to determine which can best solve your current and future needs. First and foremost, new equipment is almost always in perfect condition – there is no previous wear and tear. New spray foam roofing equipment can be custom-ordered according to your specifications. Furthermore, your choices include the very latest models. The main drawback to buying new spray foam roofing equipment is the price tag. If you pay full price for the equipment, it may limit the amount of equipment and/or pieces you will be able to buy at one time. With used spray foam roofing equipment, the biggest enticement is actually the price tag. In fact, you can save a considerable amount of money, and in turn, may allow you to buy even more equipment and/or pieces. This is especially helpful for new or smaller-size businesses, or anyone with an extremely tight budget. If you have an interest in a particular type of older equipment — or you are seeking to supplement some of the equipment you already have — buying used may be your best route to locate these items. Drawbacks include the potential for limited selection options, and it is unlikely that you will be able to customize your choices. Furthermore, many items may have some signs of wear and tear. Serving commercial roofing contractors, spray foam insulation contractors, and the materials suppliers that serve those markets, Intech Equipment and Supply has built a network of industry relationships to provide the best in support and manufacturer materials. For sprayfoam roofing equipment, spray foam insulation, single ply roofing, and commercial roof coatings applications – Intech Equipment and Supply is your one-stop shop.